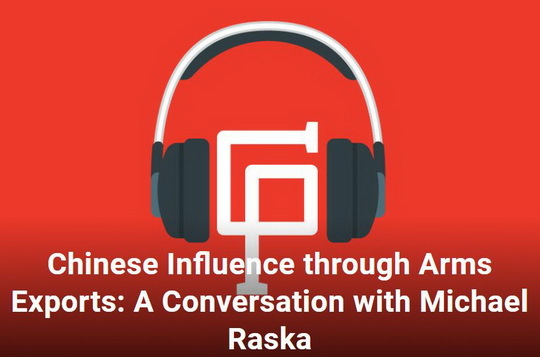 "Strategic Contours of China’s Arms Exports"
"A Nimble 4G SAF Needs Space for Mavericks"
"China’s Evolving Cyber Warfare Strategies"
"Rebalancing US Forces: Basing and Forward Presence in the Asia-Pacific." Contemporary Southeast Asia Vol. 37, No. 1 (2015), pp. 146–49. "The Five Waves of RMA Theory"
Pointer-Journal of Singapore Armed Forces (36)3-4. 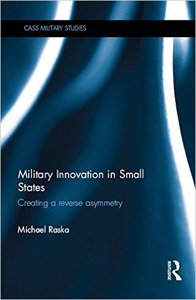 "South Korea's Military-Innovation Trajectories," In: Cronin, Patrick (ed. 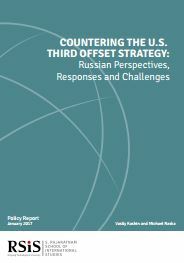 ), Breakthrough on the Peninsula: Third Offset Strategies and the Future Defense of Korea (Washington D.C.: Center for New American Security, 2016), 23-39. "Diesel-Electric Submarine Modernization in Asia: The Role of Air-Independent Propulsion Systems" In: Bitzinger, Richard: Emerging Critical Technologies and Security in the Asia-Pacific (London: Palgrave Macmillan, 2016). "Capacity For Innovation: Technological Drivers of China’s Future Military Modernization" - with Richard Bitzinger; In: Kamphausen, Roy and David Lai, The Chinese People's Liberation Army in 2025 (Carlisle, PA, Strategic Studies Institute, 2015). "The Development of Precision-Guided Munitions"
"Conceptual History of the RMA"